We are a bunch of passionate lifelong boaters and anglers. 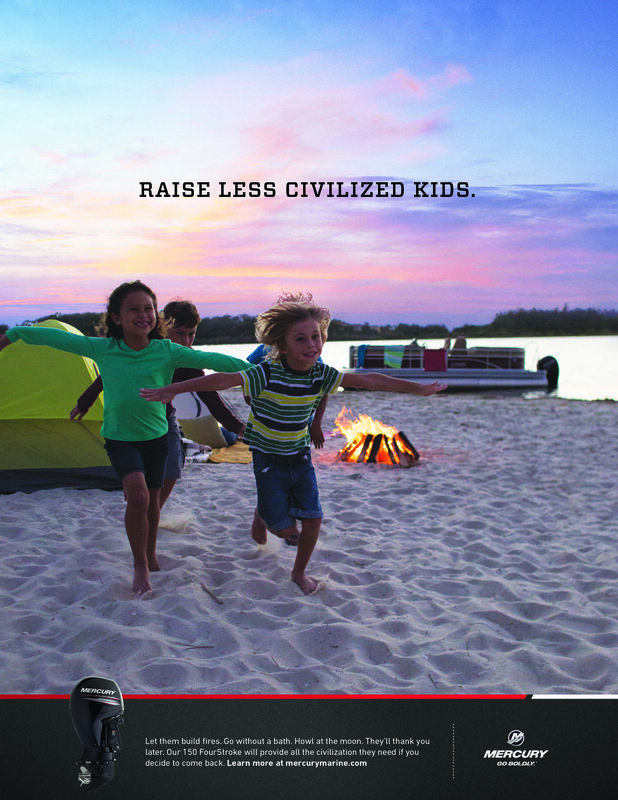 Freshwater, inshore, offshore, waterskiers, cruisers, campers, explorers. 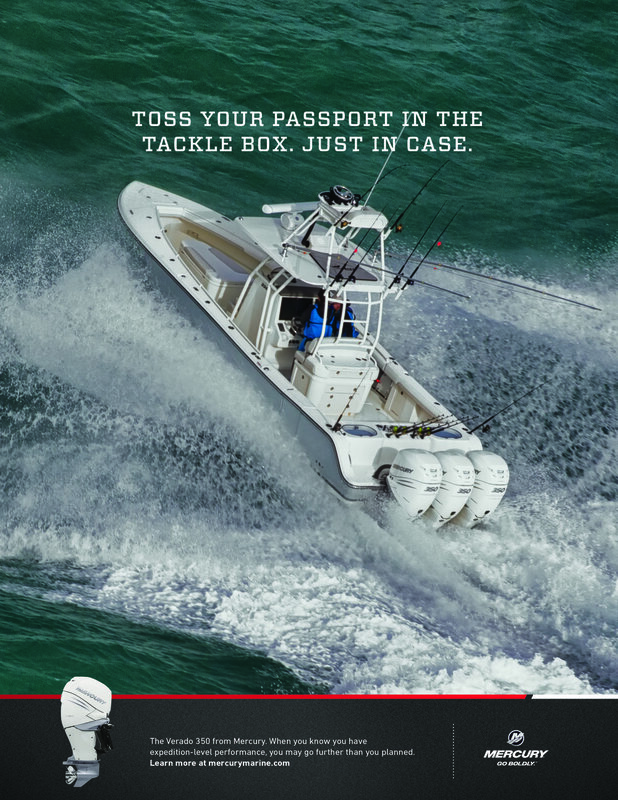 So when Mercury Marine came calling in 2015, we were understandably excited. 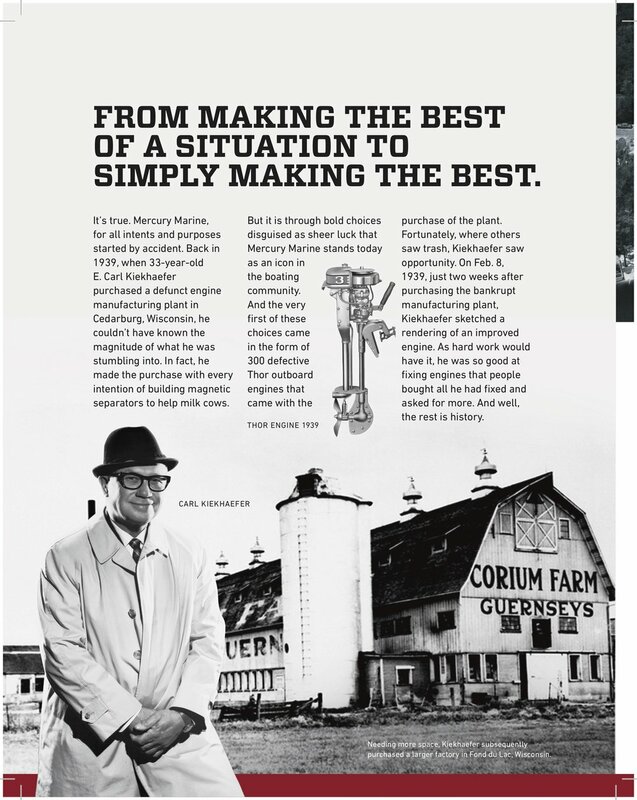 Founded by Carl Kiekhaefer in 1938, Mercury has stood on the forefront of engineering faster, more powerful, more durable and more efficient marine engines through its history. And today they stand as a world leader in the category. For over 75 years, they have stood for the bold defiance of convention. Of finding new solutions, new frontiers and new records. They came to us because they recognized our ability to unlock the emotional connection between a brand and its core audience. And because they saw in us what they saw in themselves: passionate boaters and anglers. We have the uncommon ability to connect with their audience because we are their audience. Over the last decade, they had leaned heavily on a marketing strategy that touted the functional benefits of their products. And while these things are vitally important, they miss the fundamental truth that no one goes boating for the rational benefits, unless they live on an island. Boating is an emotional activity. Escape. Adventure. Connection. Achievement. Confidence. And these are the things we strive to communicate as we build a new generation of passionate Mercury fans. 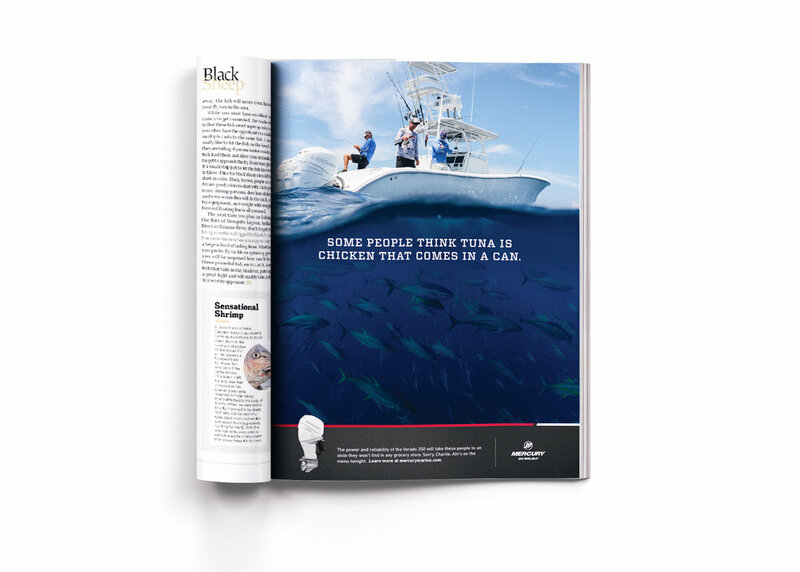 An 8-page editorial piece focused on Mercury’s influence in bass fishing. This ran in American Bass Angler following the Bassmaster Classic. We’ve created dozens of different assets for Mercury. 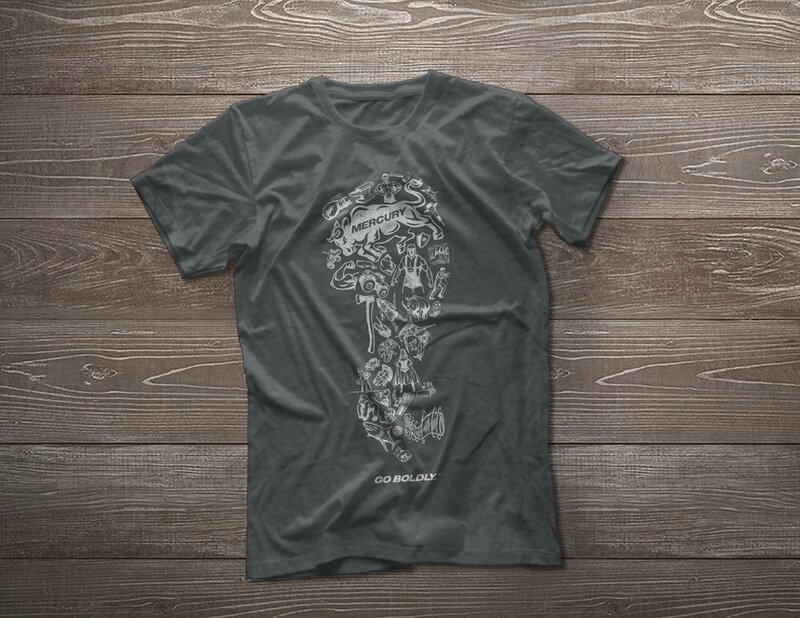 Including gear that enthusiasts can proudly wear to represent the tribe they now believe they are part of.